Julie’s life revolves around other people: her students, her parents, her sister. But even she has her limits. Julie has zero interest in playing personal assistant to Eric Vincent, a man who’s as arrogant as he is charismatic...until he ups the salary to one million dollars for three months’ work. Soon Julie’s struggling to bite her tongue—and resist the chemistry that draws her to Eric. But after one scorching kiss, Julie decides it’s finally her turn to be selfish. And this time, she’s going to get what she wants. The synopsis for this story sounds a little contrived, but it didn't really feel that way at all. This is a wonderful romance. A lovely, slow burn. We get to know Julie and Eric as we watch them learn about each other. They challenge each other and each help each other to grow and move out of their comfort zone. I connected with both Julie and Eric, and as our couple crosses the line from employee/employer to something more, I felt every high and low right along with them. In the end, I was crying happy tears. Great story. I'll be definitely reading more of Ms. Adams' work. This is a cute story, with some quite teary moments, and a delightful ending. 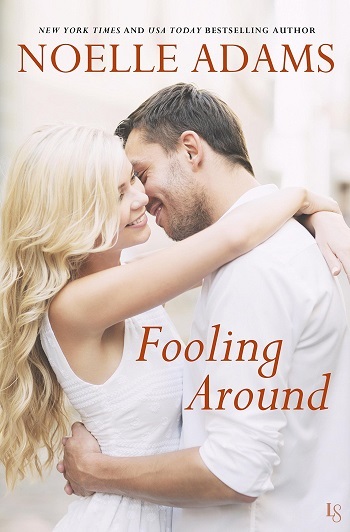 Reviewers on the Wicked Reads Review Team were provided a free copy of Fooling Around by Noelle Adams to read and review.